The Maine Red Claws, presented by Quirk Chevrolet, today announced that Gene Cross has been named the team’s assistant coach under Head Coach Dave Leitao. Cross, who was an assistant coach for the NBA Development League Utah Flash last season, reunites with Leitao after serving as his assistant coach at both the University of Virginia and DePaul University. Cross, 39, joins the Red Claws after a year as the assistant coach for the Utah Flash. Prior to joining the pro coaching ranks, Cross had a long and productive career coaching in college, having coached at the University of Illinois-Chicago, DePaul University, University of Virginia, Notre Dame, and the University of Toledo. Cross was an assistant under Red Claws Head Coach Dave Leitao for five seasons at Virginia and DePaul. A native of Chicago, Cross earned a bachelor's degree in history from the University of Illinois in 1994 where he played for the Fighting Illini as a walk-on; Illinois participated in the NCAA Tournament twice during his playing career. He received a master’s degree in sport management from Ohio State University in 1996, beginning his coaching career as varsity basketball coach at Marion-Franklin (OH) High School. He joined the coaching staff at the University of Illinois-Chicago in 1996, spending three seasons as the assistant coach for the DePaul Blue Demons under Dave Leitao. Following the 2004-05 season, Cross followed Leitao to the University of Virginia as Leitao’s top assistant. Following two seasons at Virginia, Cross moved to Notre Dame to become the assistant coach for two seasons under 2007 and 2008 Big East Coach of the Year, Mike Brey. He served as head coach at the University of Toledo for two seasons before making the jump to the pro ranks as the Flash’s assistant coach last year. In addition to his coaching experience, Cross is a member of the Black Coaches Association. 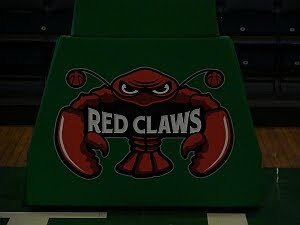 The Red Claws will get their first look at potential players for the 2011-12 Red Claws squad on September 10 when the team holds open tryouts at the University of Massachusetts – Boston. The 2011-12 season will get underway in late November, with the Red Claws playing 24 home games at the Portland Expo during their third NBA Development League season.